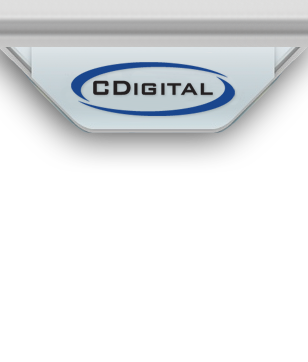 Since 2001, CDigital has focused exclusively on developing innovative applications for its high speed digital transfer printing equipment. Each application incorporates the digital attributes of full color, variable data, zero set-up costs, low minimums and fast turns. Our mission continues to be to deliver the most economical short run, full color product decoration available. At CDigital, we're 100% digital. We're printers, but operate digital equipment only. We're in the transfer business, but only full color digital transfers. We supply the product decoration industry, but only the segments that want the digital advantages of faster turns and shorter runs than current print technologies can economically deliver. In 2013, we upgraded our capability with the addition of two new Xeikon 3030 print engines. Operating with a new family of toners, these high-speed, 1200 dpi presses print exceptionally vibrant images. And, the dramatically improved opacity assures that our transfers will look great on any color product. We all live in a digital world and customers increasingly expect their decorated products to exhibit digital characteristics — living color, personalization, and economy - delivered quickly and on demand. Contact CDigital to bring the digital world to your product decoration program.